Five Minutes To A Fortune is a Channel 4 game show that has teams performing various tasks against the clock. I won't bore you with the details. Suffice it to say that even the host, Davina McCall, describes the show as 'buttock-clenching'. I agree, Davina. Well said. Anyway, one of the games a few weeks back involved being presented with a series of letters. 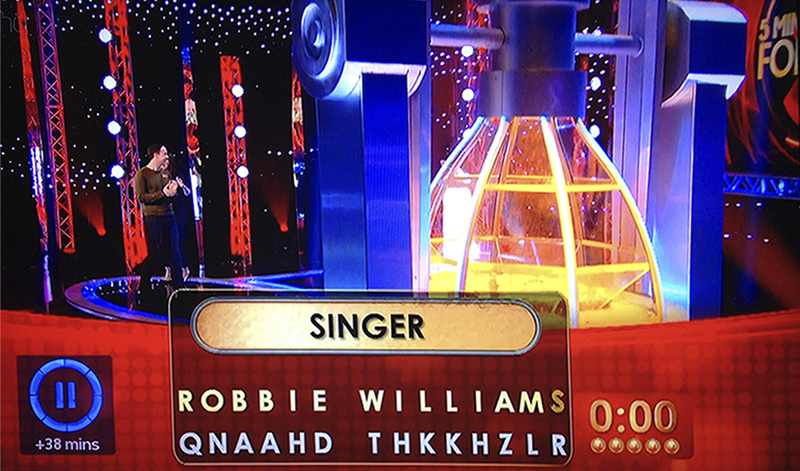 For each letter the contestant had to choose the next letter in the alphabet to make a word or saying. 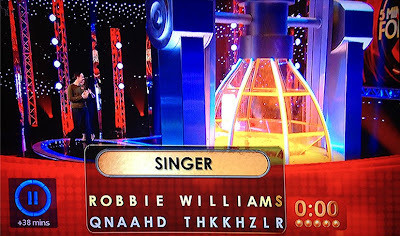 In this case, it was the name of a singer. But who's the half-wit that thinks W follows T?